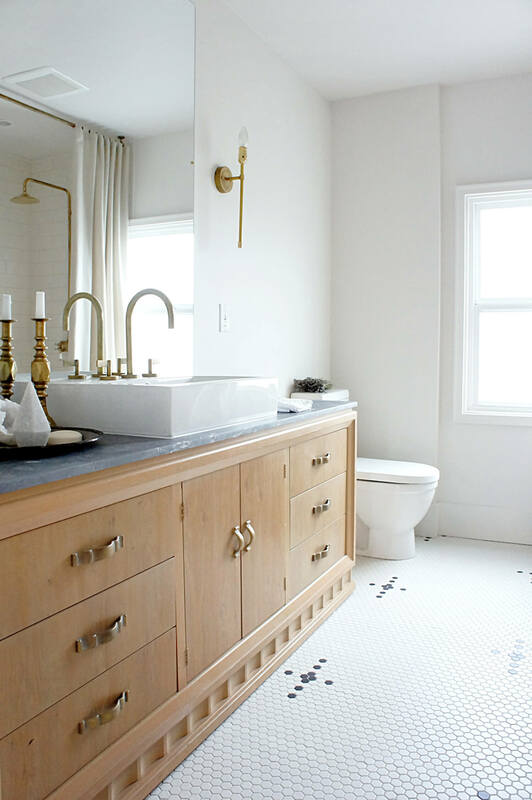 Bathrooms shouldn’t get the short shrift when it comes to interior design. 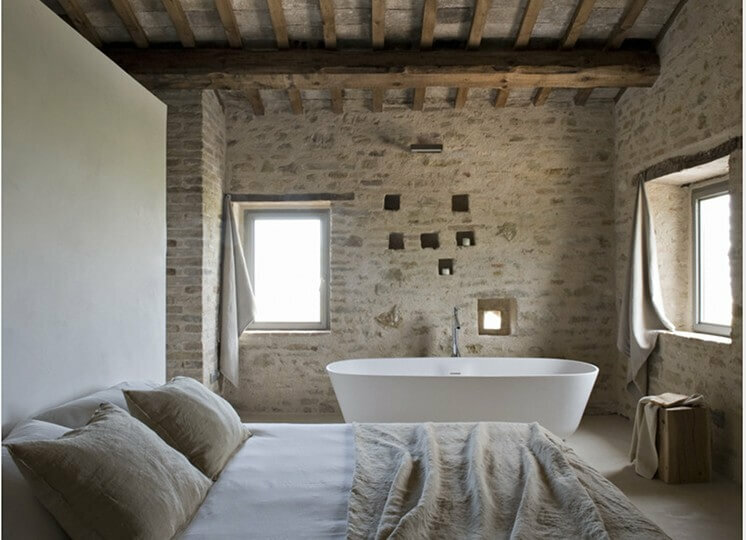 A bathroom done well not only elevates the home but delivers a sanctuary of your own – a space that fills both functional and aesthetic needs. In creating a bathroom sanctuary of our own, we’ve been inspired by spaces that fall under a more timeless aesthetic, like the bathroom of the recently-featured Emerson Home. 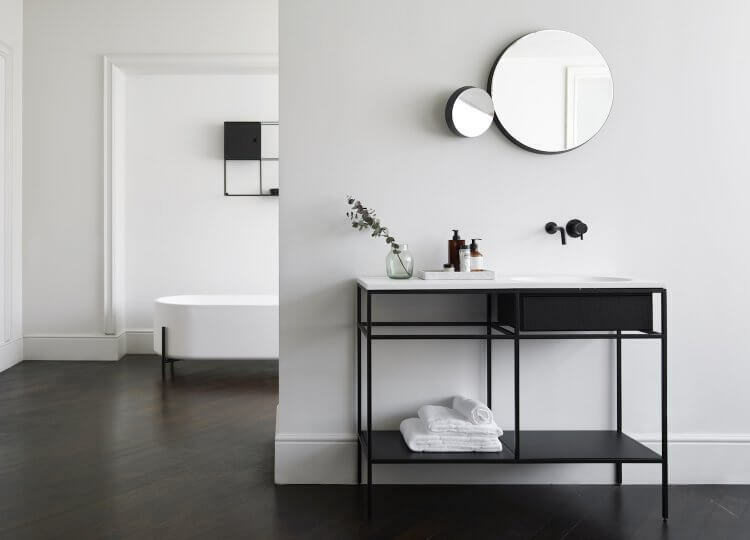 If you’re searching for a bathroom with a beauty that won’t age or outdate over time, here’s some of our favourite pieces to pull the whole look together. 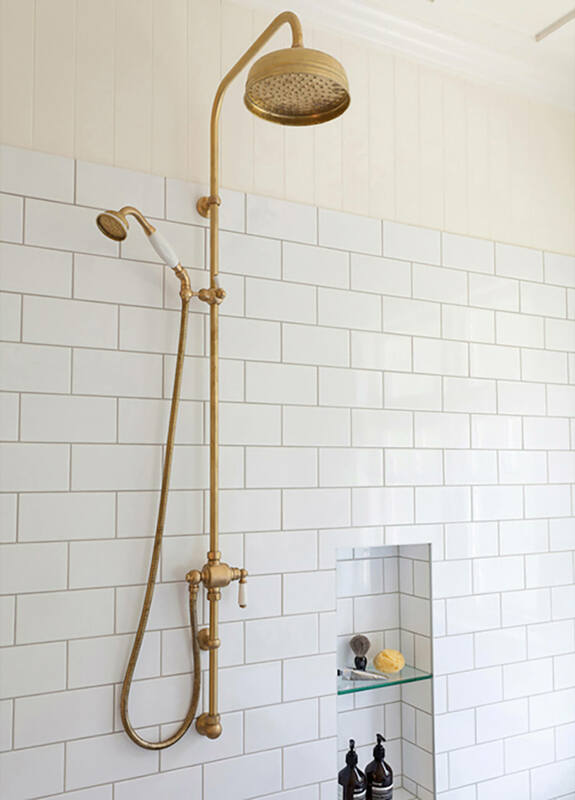 Nothing like a touch of brass to elevate your shower set. This piece by The English Tapware Company brings classic style to any bathroom, complete with porcelain handles for an elegant touch. White, fluffy towels are truly one of life’s simplest (and greatest) luxuries. 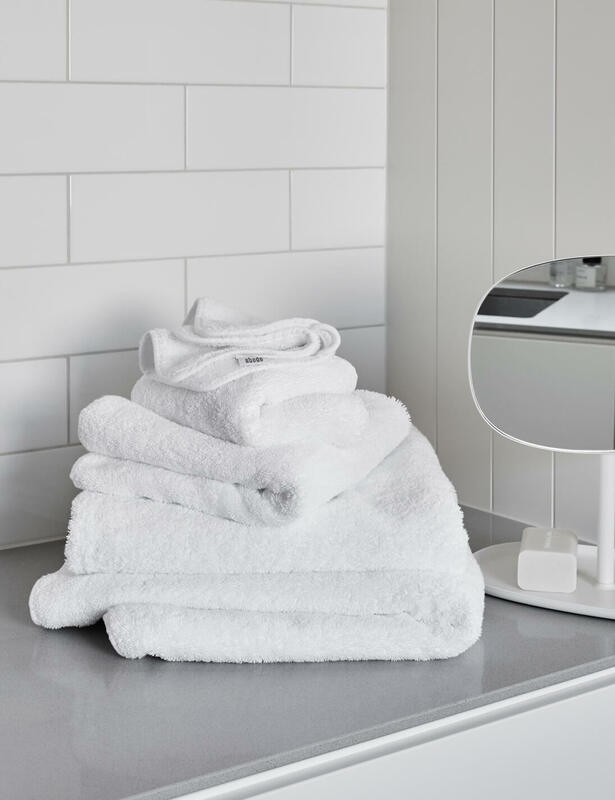 This collection from Abode Living has all sizes and shapes of towel covered, made from plush 100% Pima cotton for maximum indulgence. 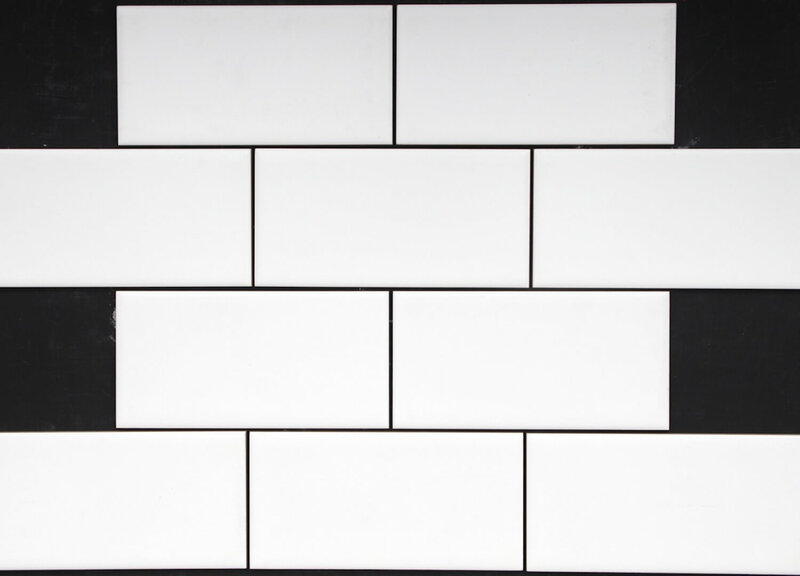 These petite white matte porcelain mosaic tiles by Byzantine are simple yet add character and play to the aesthetic. 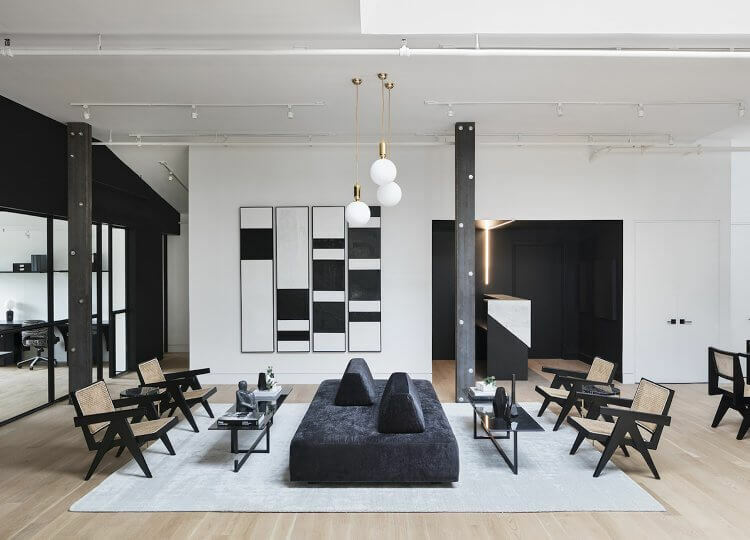 Mix black with white for a timeless custom monochrome look as shown above, or stick to white to keep things streamlined.  An elegant everyday paint from Porter’s Paints, this creamy shade plays the perfect foil to sleek modern tiles, adding a rustic edge to an all-white palette. 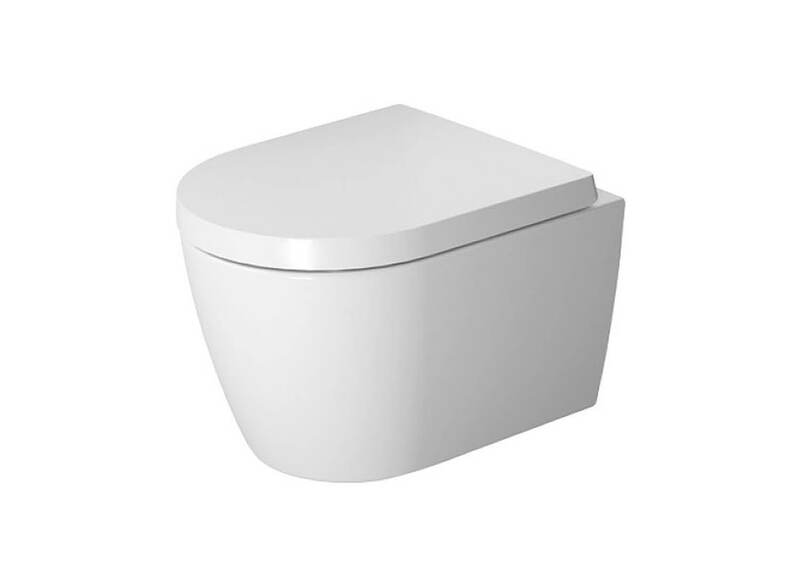 Designed by Phillipe Starck for Duravit at Bathe, this is a wall-mounted toilet with a simple structure and clean lines. It’s clean-cut aesthetic is sure to fit with any design style. 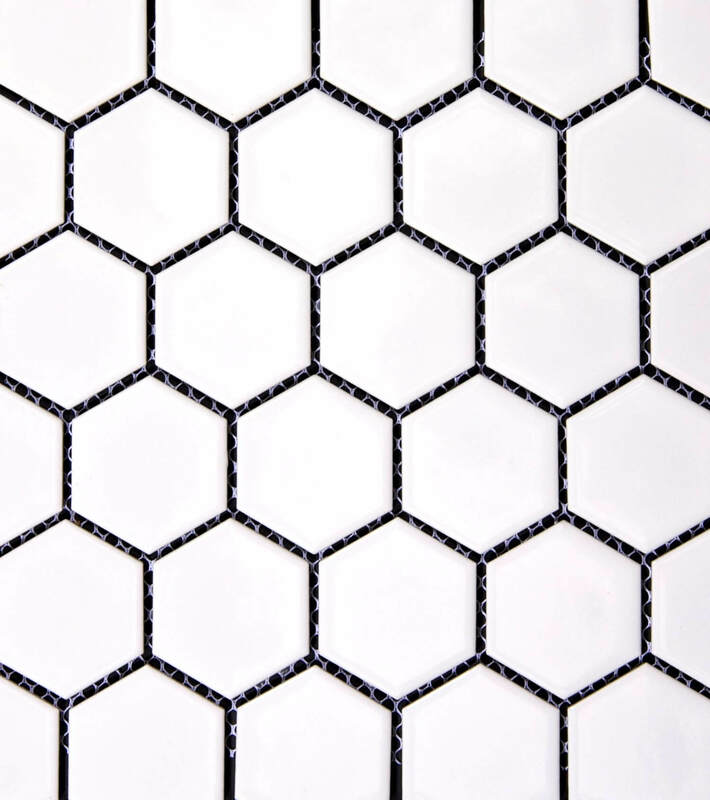 In contrast to the detail of the hexagonal floor tiles above, the use of classic subway tiles in the bathroom lends itself to an older style. 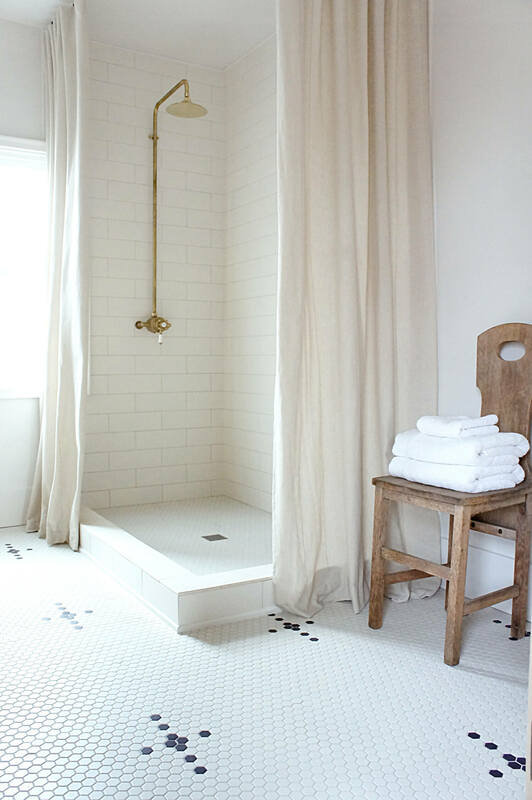 Whether used to segment the shower space from the rest of the interior or as an overall feature, it’s a sure bet. 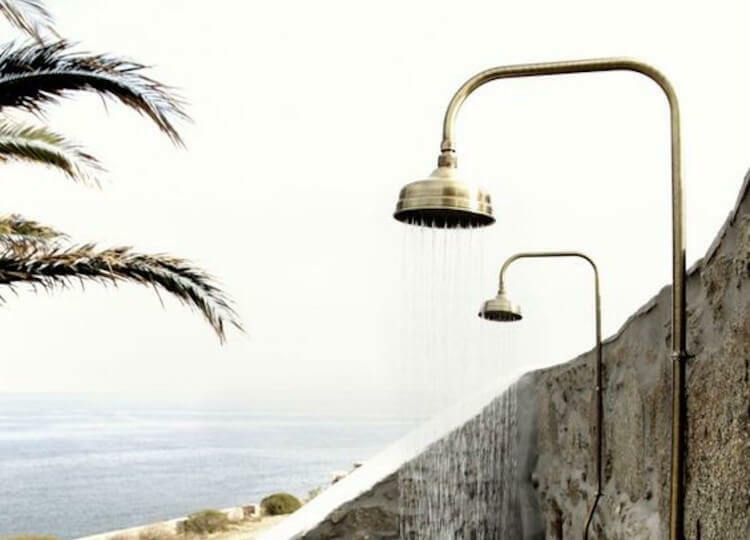 If you’re going to commit to this style, a high grade shower curtain is a must. Be sure to source something in linen or cotton, like this one by Waterworks Studio. 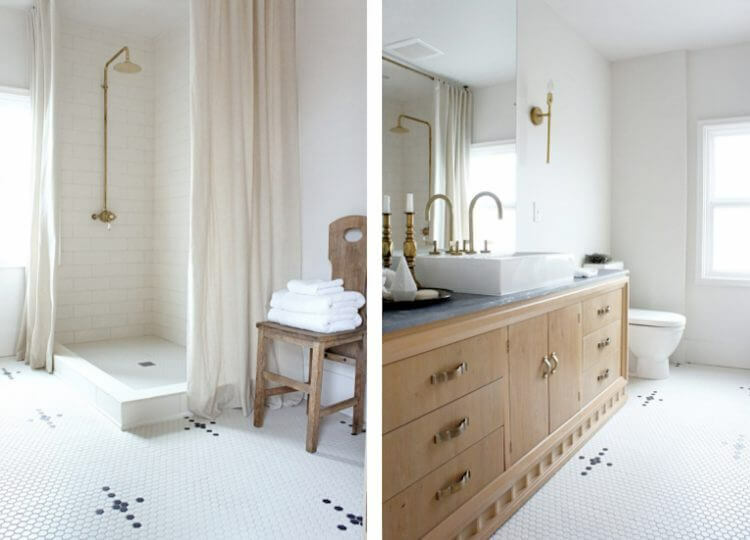 Pre-washed to accentuate the linen look, it contrasts nicely with the sleek tiles.